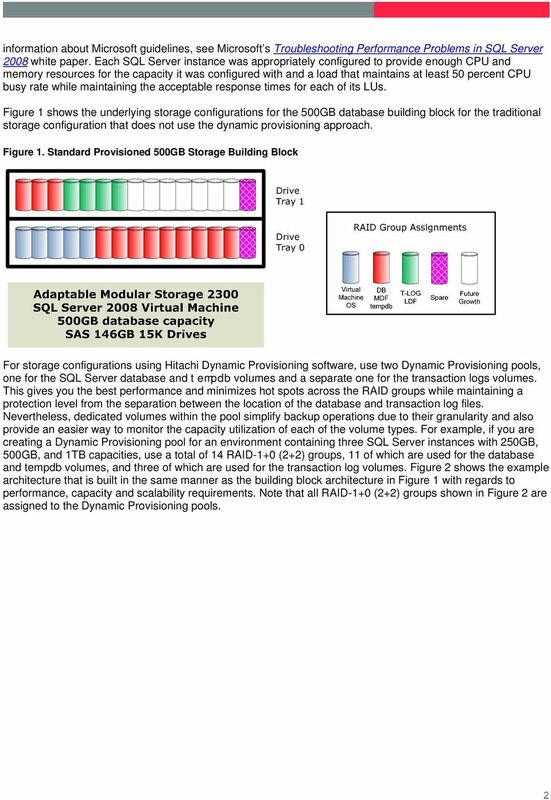 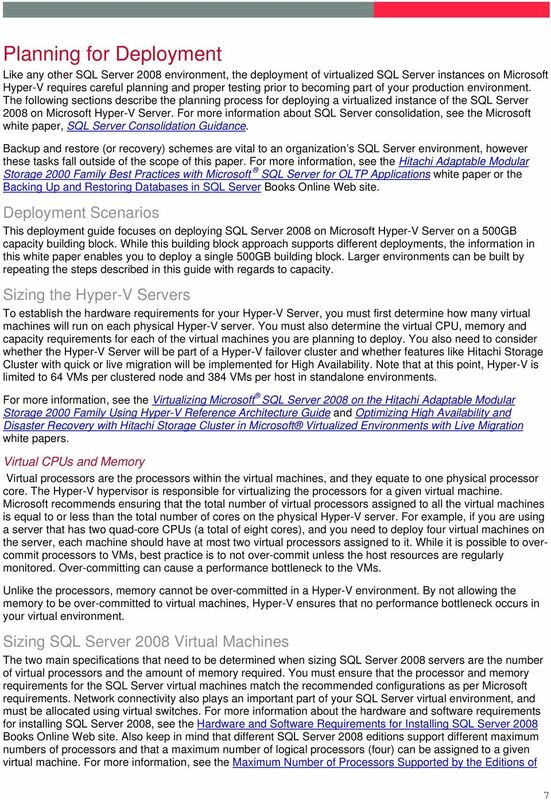 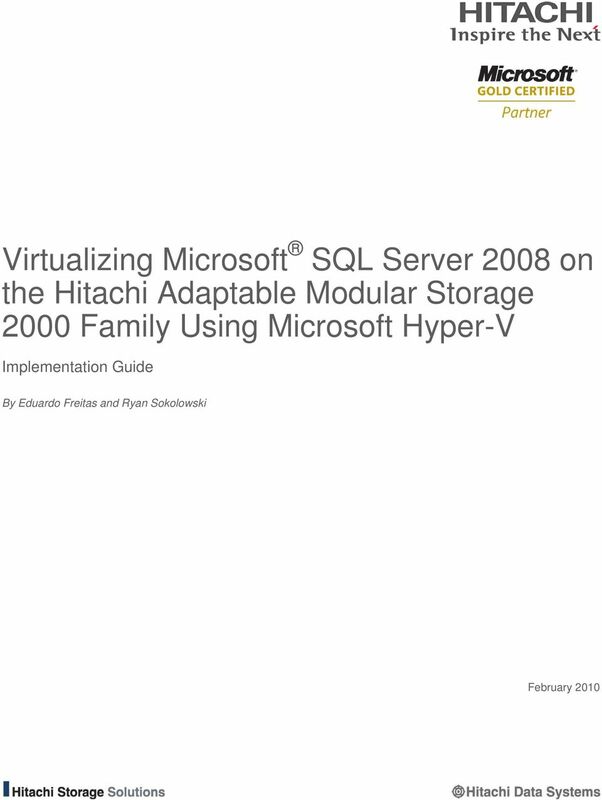 Download "Virtualizing Microsoft SQL Server 2008 on the Hitachi Adaptable Modular Storage 2000 Family Using Microsoft Hyper-V"
2 Summary Deploying a virtualized Microsoft SQL Server 2008 environment with Microsoft Hyper-V can be a complex endeavor without proper planning and deployment guidance. 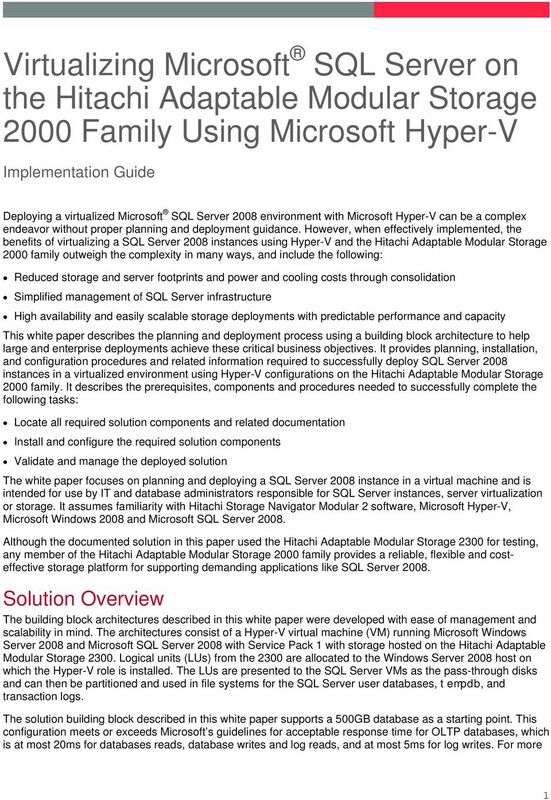 However, when effectively implemented, the benefits are significant, including reduced storage and server footprints, reduced power and cooling costs, simplified management of the SQL Server infrastructure, high availability and easily scalable storage. 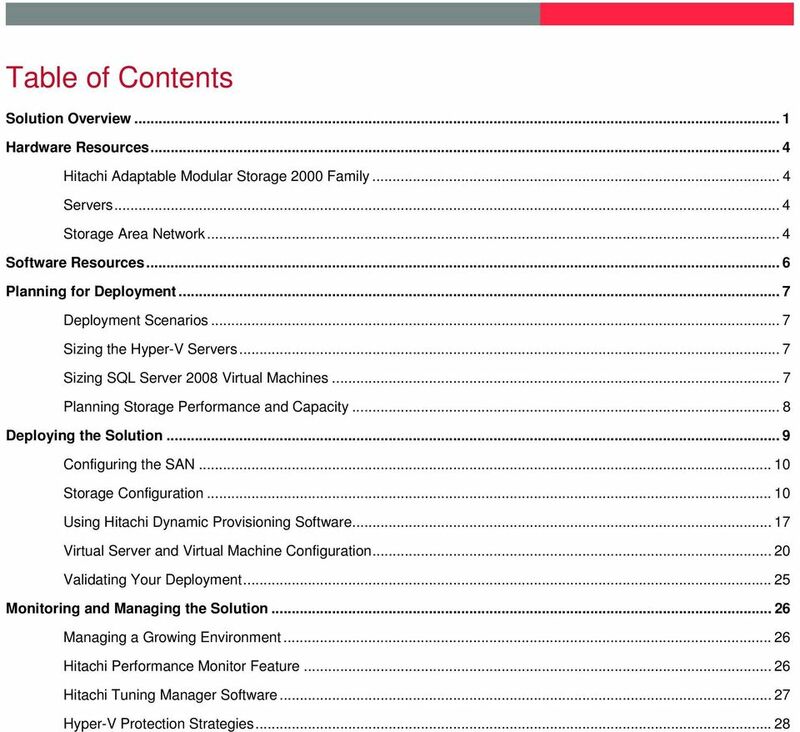 This white paper describes the planning and deployment process using a building block architecture to help large and enterprise deployments achieve these critical business objectives. 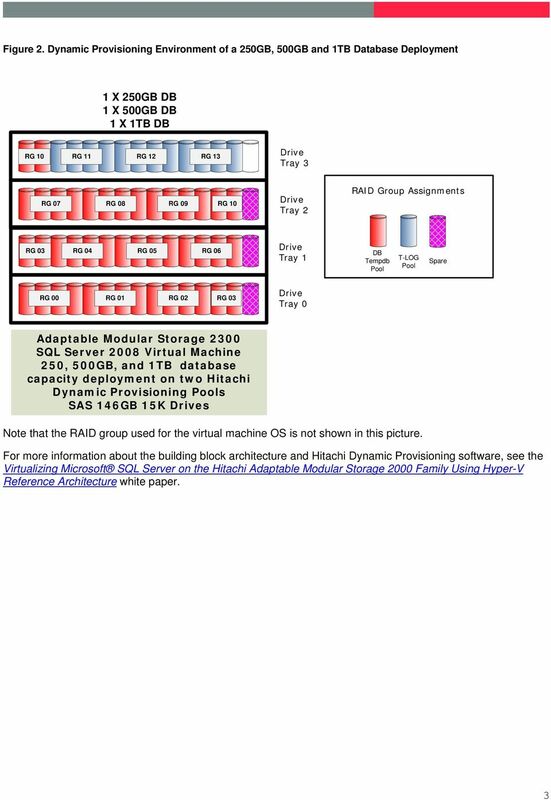 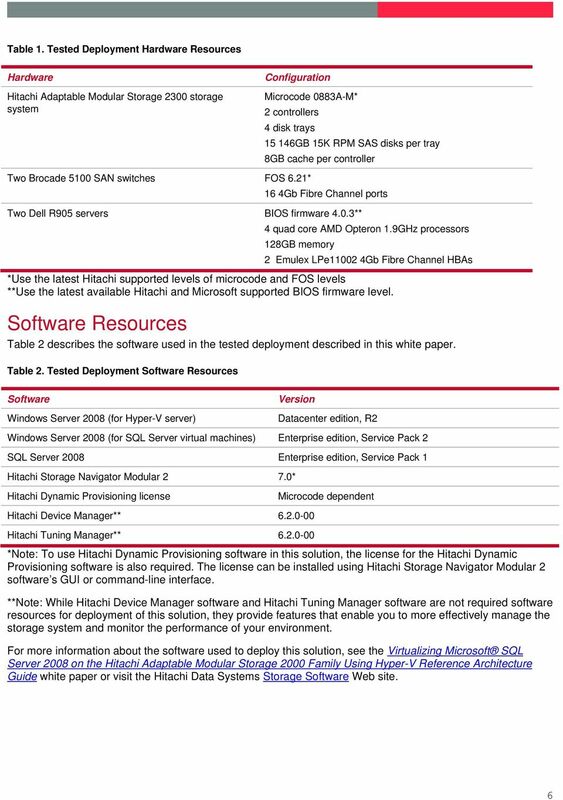 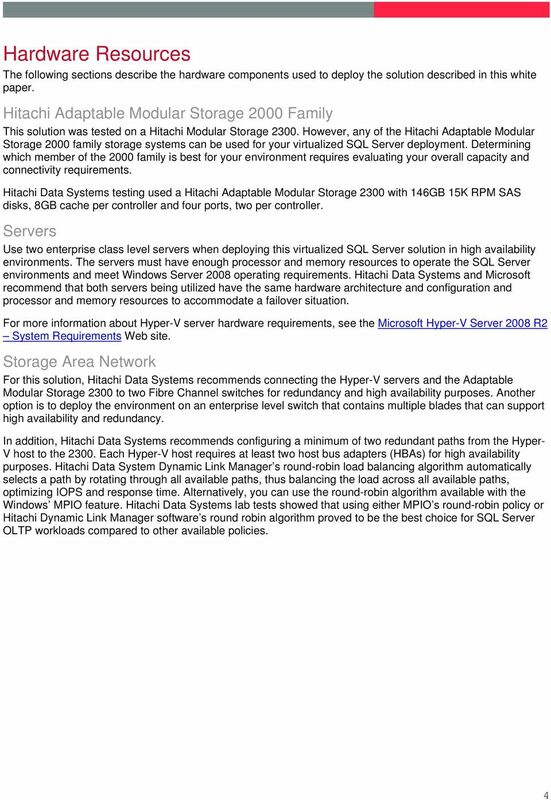 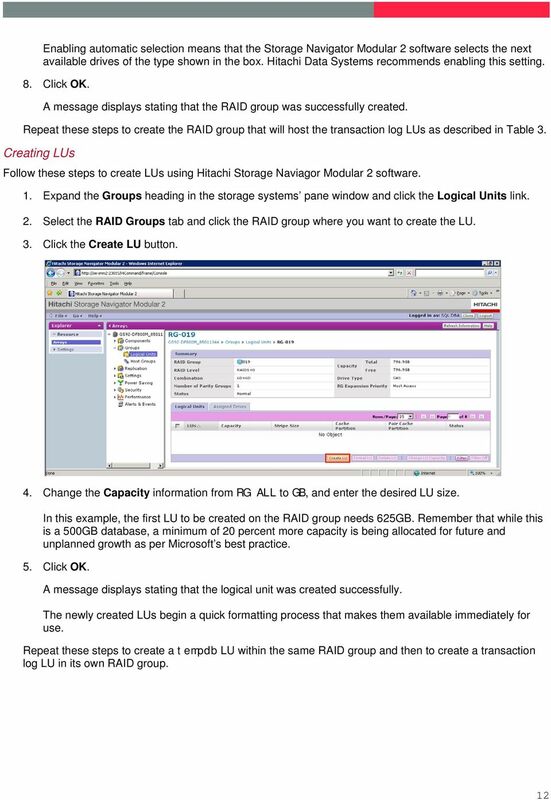 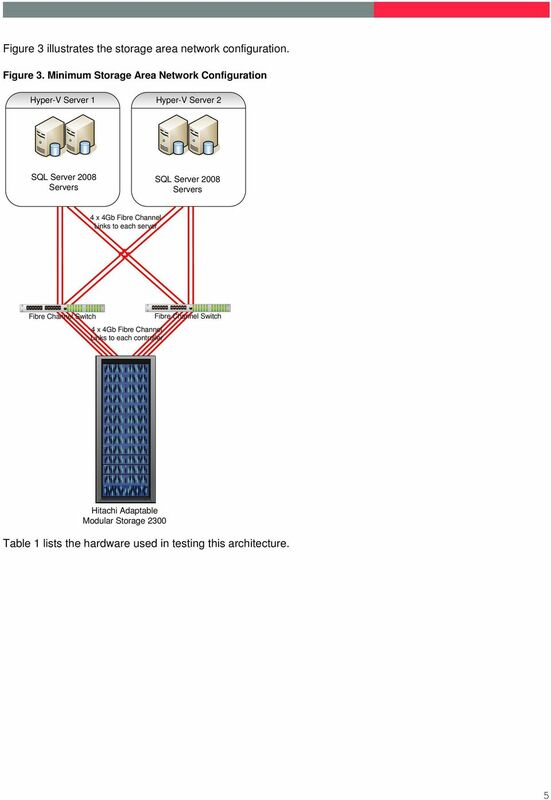 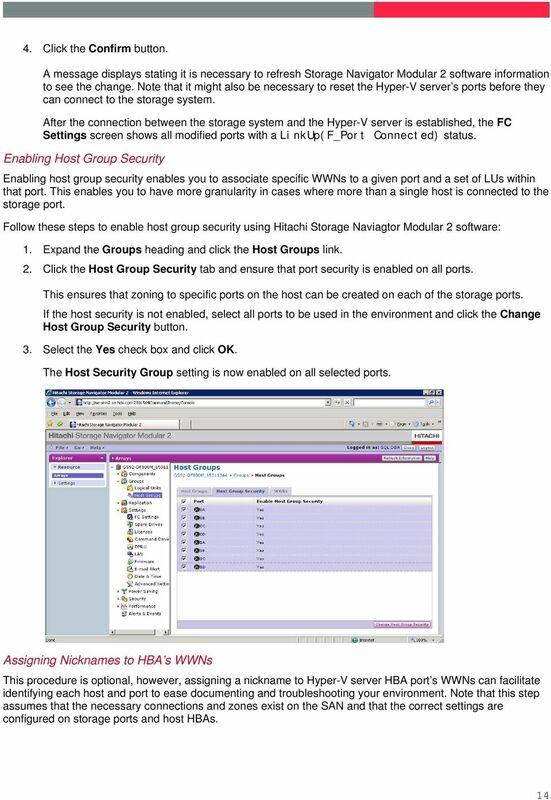 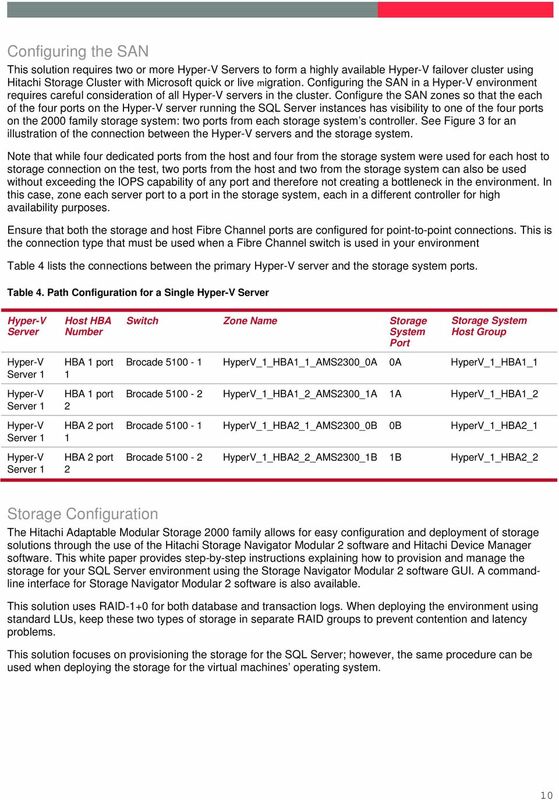 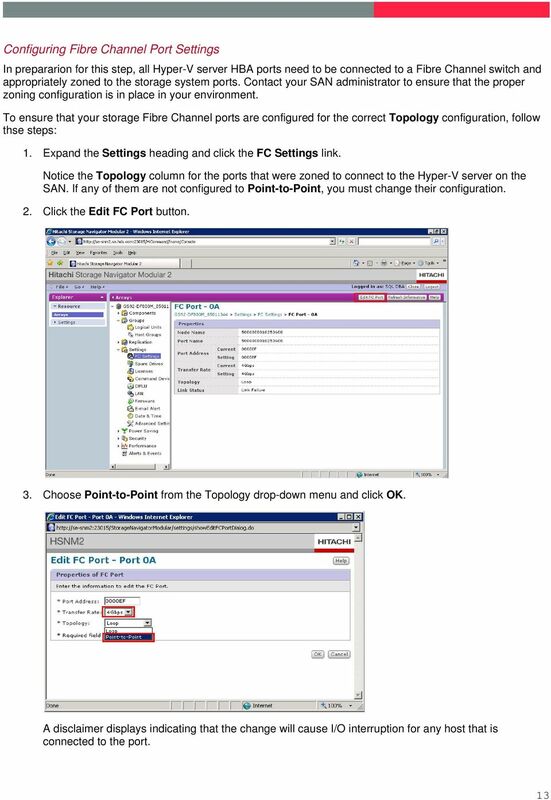 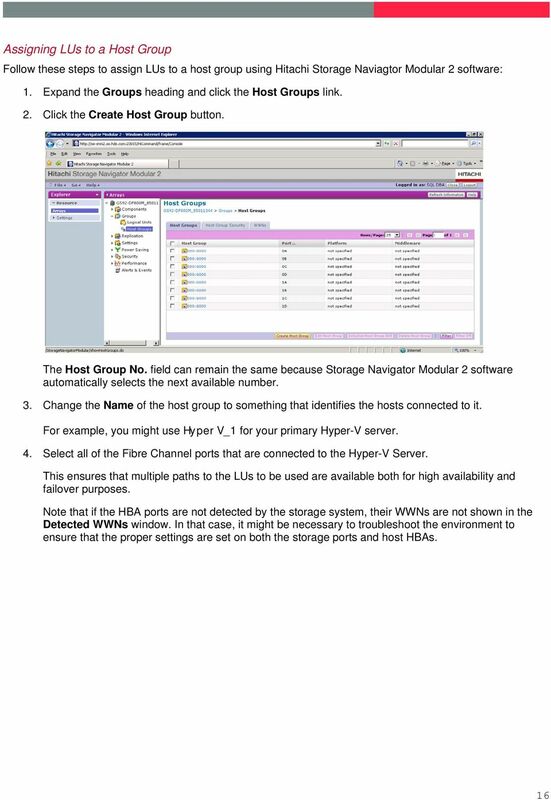 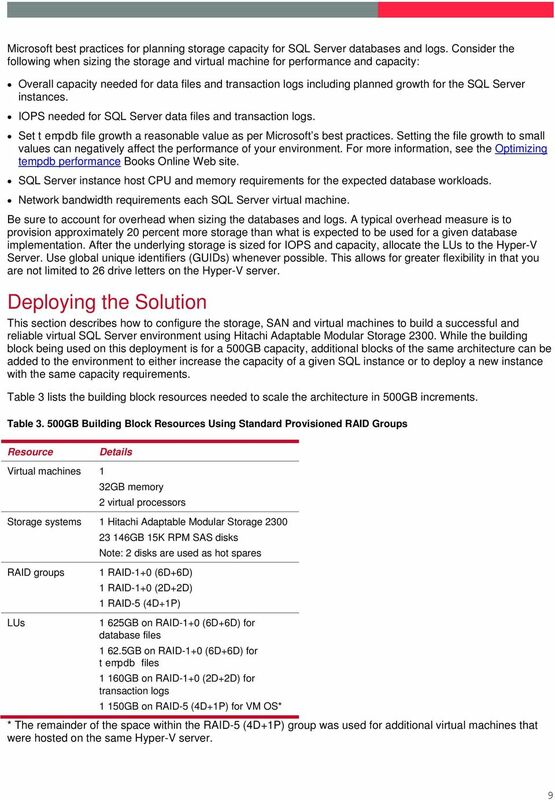 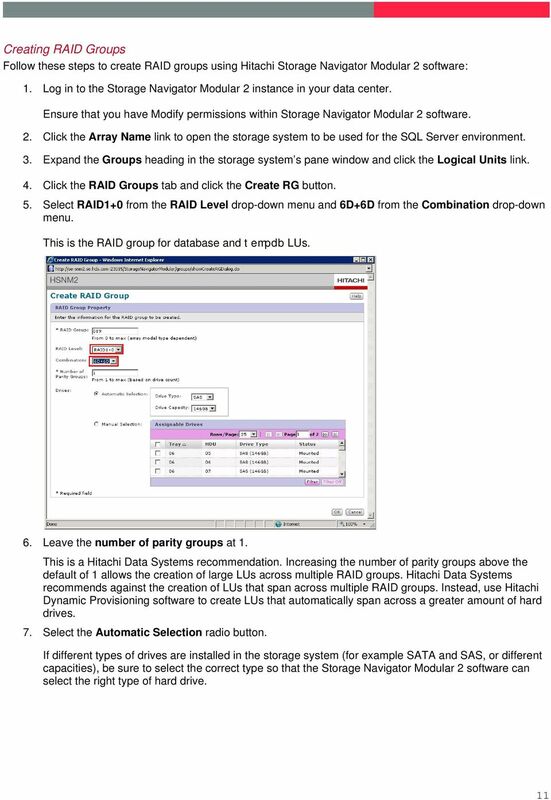 It provides planning, installation, and configuration procedures and related information required to successfully deploy SQL Server 2008 instances in a virtualized environment using Hyper-V configurations on the Hitachi Adaptable Modular Storage 2000 family. 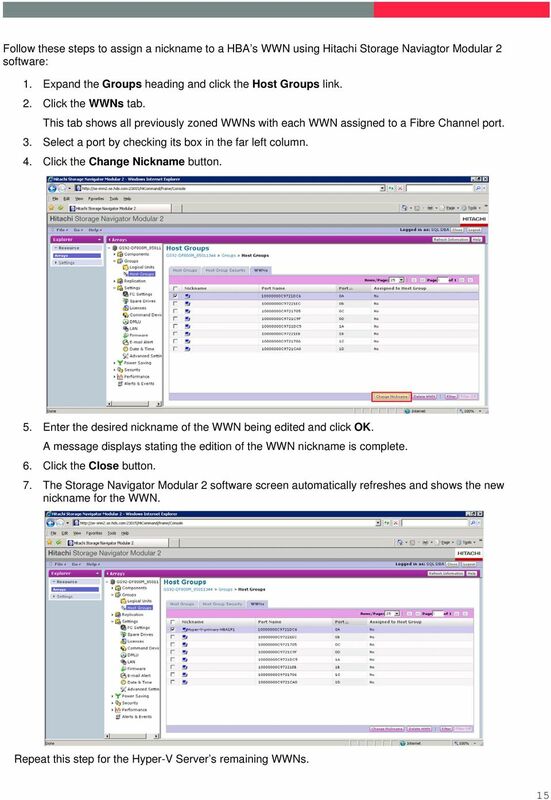 For best results use Acrobat Reader 8.0. 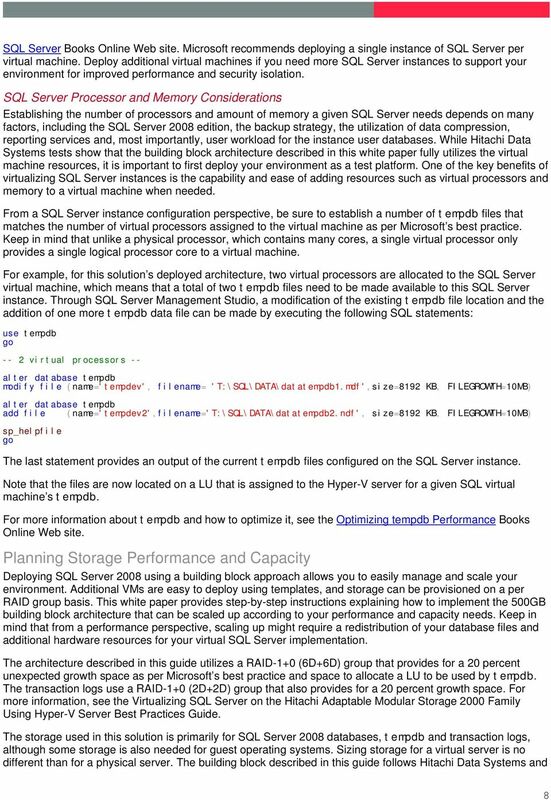 1) Disk performance When factoring in disk performance, one of the larger impacts on a VM is determined by the type of disk you opt to use for your VMs in Hyper-v manager/scvmm such as fixed vs dynamic.